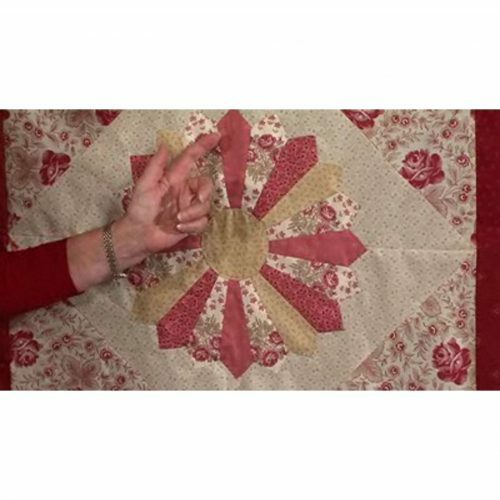 Anne was inspired to include this unit when she saw it used on a piece of navajo pottery. 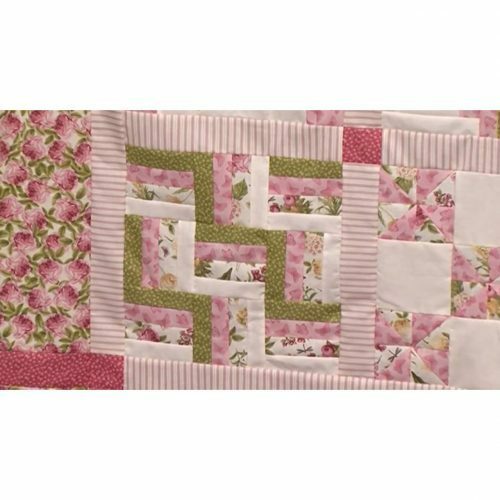 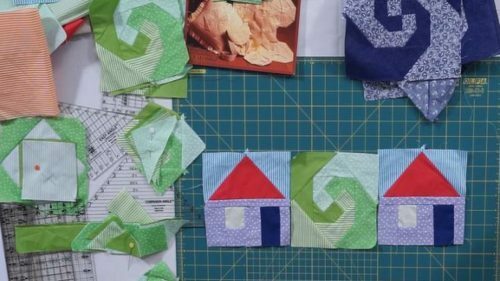 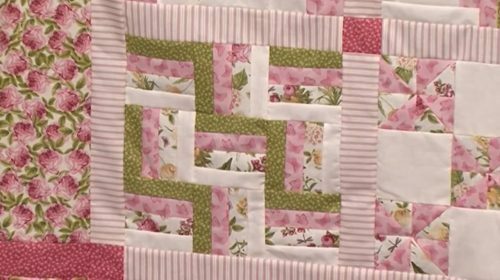 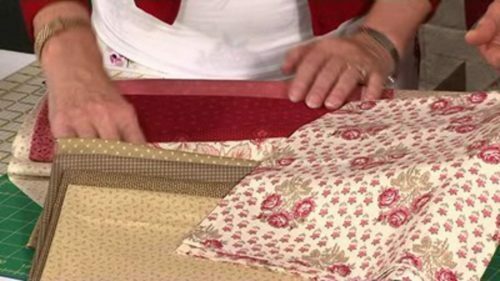 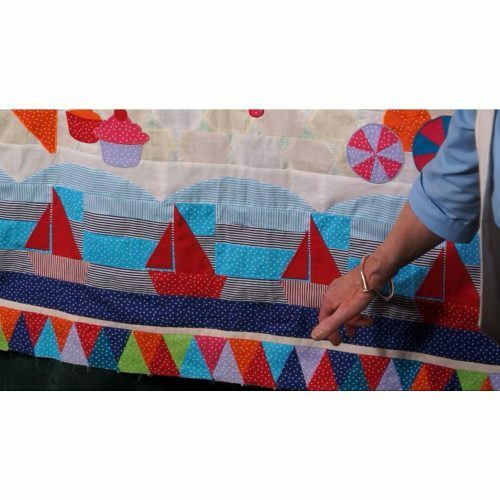 This quarter square triangle technique is quick and easy to do on the sewing machine; it does require you to sew an accurate 1/4″ seam though. 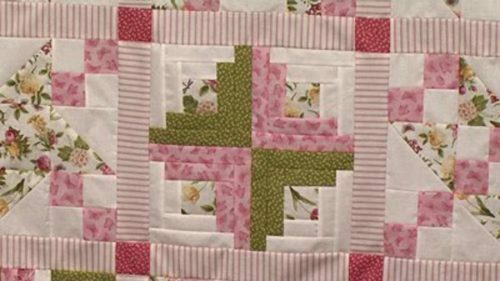 Anne has teamed the units up with some plain squares, and then added a fudge factor -don’t we just love that! 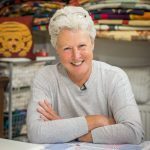 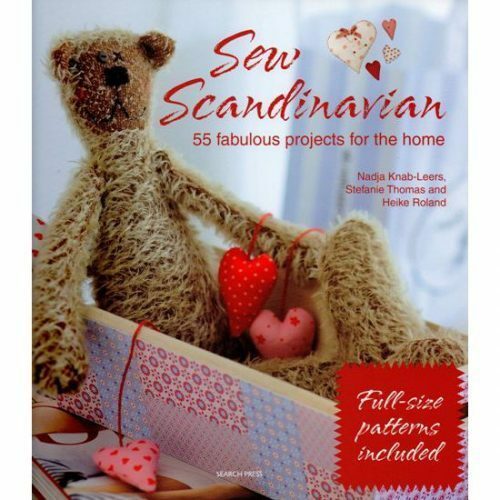 Anne has sewn all of her life, prolifically for the last 25 years. 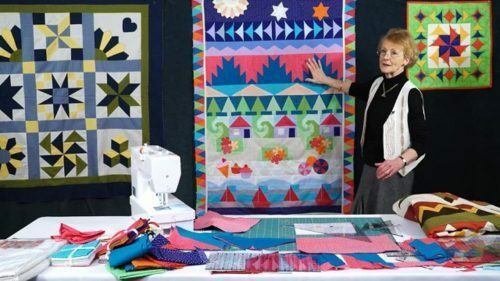 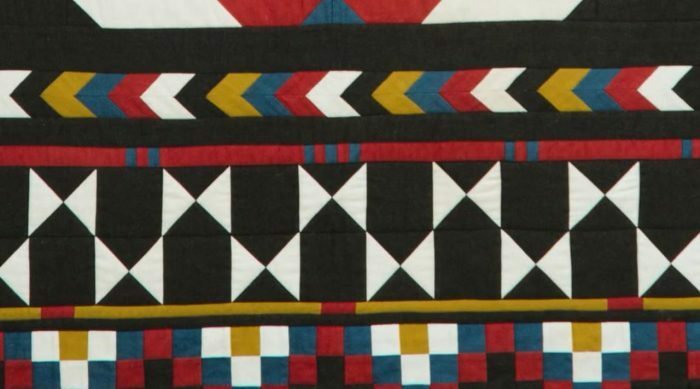 She works across a wide range of patchwork and appliqué techniques and designs — from the Navajo blanket quilt that includes simple and advance techniques to simple cushion designs.